Prior to our trip to the Smoky Mountains in July, husband Walter, AKA Baboo, purchased four noodles, those long foam cylinders that provide flotation and entertainment in swimming pools. There were no swimming pools and few spots of calm water where we were camping, only mild to scary rapids over rocks. 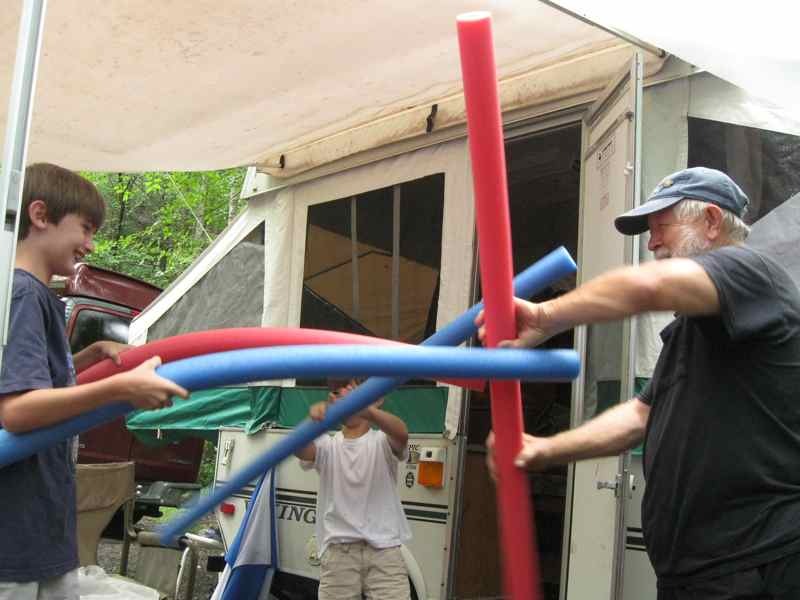 But Baboo was confident that, in the absence of television and electronic games, the creativity and imagination natural to children would find fun uses for those noodles. He was right. The four Georgia grandchildren and parents met us at Elkmont Campground in the national park outside of Gatlinburg, TN. 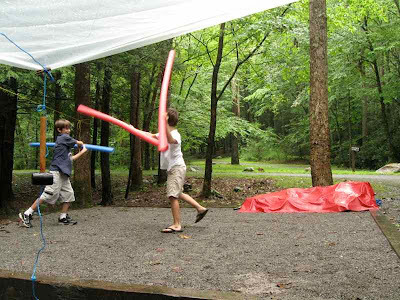 It wasn’t long before grandsons Luke and Nate inaugurated the unused tent pad in our campsite as an arena for noodle battles. Nate seeks an advantage in our pop-up camper. Luke, left, and Nate, center, double-team Baboo. 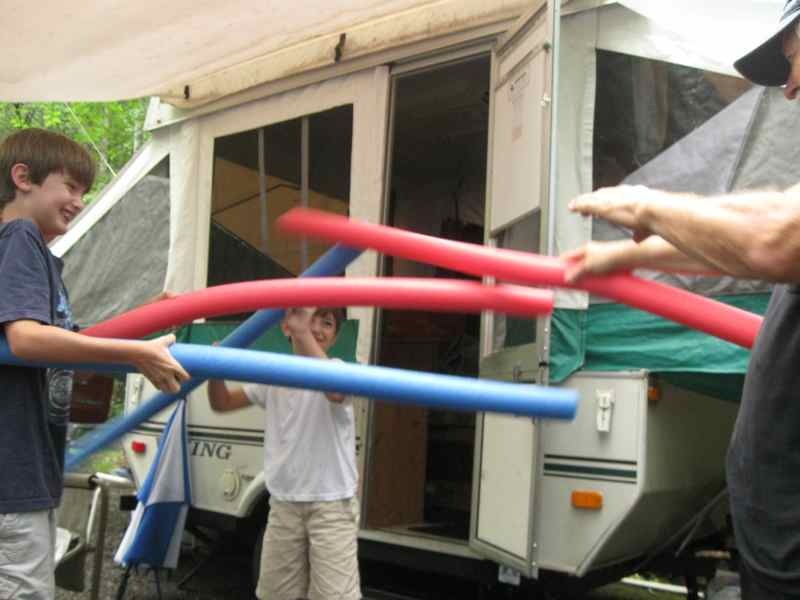 Granddaughters Charlie and Stella were more likely to use the noodles to extend their reach as they played in a shallow little water flow that had cut its way through the back of the campsite over the years. Even the girls entered the fray at times with vigorous attacks, though. Ahh! Good entertainment and great memories for this grandparent. Fun times. Don't you love how kids can take anything and design some games to play? Love this.